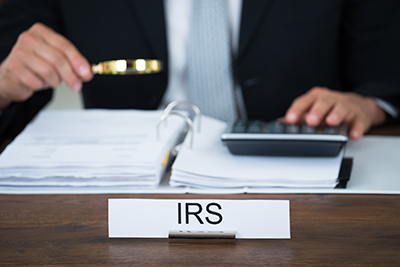 The Internal Revenue Service (IRS), earlier this fall, announced two updates to procedures that plan sponsors and their service providers should note. In Notice 2018-74, the agency refreshed guidance on the safe harbor that employers may use to comply with retirement plan participant notice requirements in advance of rollover distributions under Section 402(f) of the federal tax code. The written notice must explain certain rules and information related to the eligible rollover payout such as the participant’s right to transfer the distribution to another eligible retirement plan, and the inherent tax implications. The notice’s updates, which reflect recent legislative changes and IRS guidance, make clarifications and amend the nearly 10-year-old safe harbor model notices put forth in Notice 2009-68 and later updated in Notice 2014-74. The new IRS notice does not state an effective date for implementing the updated safe harbor notices. Using the instructions in the notice’s Appendix B for first-time updates of Notice 2014-74 by amendment, rather than replacement. The modifications provided in the new notice arise from recent legislation and IRS guidance from several document sources. The Defending Public Safety Employees Retirement Act (DPSERA), which expanded the exception for qualified public safety workers receiving distributions from governmental plans. In addition, the new guidance adjusts self-certification procedures for claiming eligibility for a waiver of the 60-day deadline for making rollovers under IRS Revenue Procedure (Rev. Proc.) 2016-47. Acknowledging the possibility that the 60-day deadline for making rollovers may sometimes be extended for those taxpayers affected by events such as federally declared disasters. “Employers thus would be well-advised to update their Section 402(f) notices as soon as administratively feasible, if they have not already done so,” said law firm Eversheds Sutherland LLP about Notice 2018-74. The lawyers said employers using safe harbor notices may continue to omit sections of the explanations that are not applicable to their plans. “In the event of future changes in the law, consider at least interim updates to existing notices even in advance of the IRS publishing updated models, particularly if the new law causes a statement in the existing notice to become affirmatively inaccurate,” the firm advised. Separately, the IRS said it would begin, as of January 1, 2019, accepting applications and payments under its Voluntary Correction Program (VCP) online through the www.pay.gov website. In Rev. Proc. 2018-52, the IRS said plan sponsors will continue to be allowed to file VCP submissions on paper during a transition period that will end April 1, 2019. The VCP allows employers to correct voluntarily certain types of operational retirement plan defects, with IRS approval, without triggering plan disqualification or monetary sanctions. The program also is intended to encourage plan sponsors and plan administrators to establish proper procedures that decrease the likelihood of future operational defects in plans. The new changes taking VCP procedures electronic in 2019 supersede Rev. Proc. 2016-51, and take into account changes to VCP user fees made since the 2016 Rev. Proc.